We just learned various ways to make a request. Now, we are going to look at some ways to make suggestions or recommendations. The simplest way to make a suggestion is by using the word “how”: 「どう」. We already learned the grammar we need to do this with the 「の」 particle. How about trying to confer with (the) teacher? Another very similar pattern is to use the 「たら」 conditional to ask, “how about if”. How about if (we) meet at 5:00? How about if (you) try to confer with (the) teacher. Another option is to use a comparison 「方」 to say it’s better to do one thing versus the alternative. Using the past tense of the verb in this pattern makes the suggestion more particular to the situation at hand and hence makes it sound a bit stronger. It’s better to go to hospital. (My) knee hurts but is (it) better to go to the hospital? We just learned how to ask if it’s better to do one thing by using a comparison with 「いい」. We can also ask for suggestions on what to do by using the conditional and 「いい」 as shown in the examples below. I should go at 9 o’clock? lit: If (I) go at 9 o’clock, is (it) good? lit: If (I) do how, will (it) be good? What should (I) start listening from for Jazz? lit: As for Jazz, if (I) start listening from what, is (it) good? While we learned how to ask for favors in the last section, in this section we’ll learn various ways to make firmer requests in the form of a statement. 「ください」（下さい） is a polite way to make a firm request for something. It can also be used with the te-form of a verb to request an action. It can be written in either Kanji or Hiragana though it’s more common to use Hiragana when combined with a verb. Please give me that pen. In order to ask to not do something, take the negative of the word, attach 「で」, then attach 「ください」 similar to the rule we learned in the last section. Please don’t use (a) pen. (I’m) changing so please don’t come in. 「ください」 is a polite expression so in order to say the same thing for casual situation, we can simply drop 「ください」 entirely. 「ちょうだい」 can be used instead of 「ください」 for casual speech. While 「ちょうだい」 can be used by anyone, it does have a slight feminine and childish nuance. In this section, we’ll look at examples of when to use which words for giving and receiving. The word 「あげる」, which also means to “raise” is used when giving upwards to a person of a higher social status. The important thing to remember is that the speaker is always below everybody else. As a result, when the speaker is giving something to somebody else, he/she must always use 「あげる」. In other words, when you, yourself, is giving something, you must always use 「あげる」. (I’ll) give this to (you). I gave (my) younger brother (the) present yesterday, you know. I bought (the) drink so (I’m) not going to give it (to you). The word 「くれる」 is used to give downwards to a person of a lower social status. Once again, because the speaker is at the bottom, everything given to the speaker will always use 「くれる」. In other words, everything given to you must be expressed with 「くれる」. (Are you) giving that to (me)? (My) boyfriend didn’t give my anything on my birthday! Can (you) give (me) a little more time? There is only one word for receiving something so you don’t have to worry about which one to use. (I) received (a) ticket from friend. Because (I’m) already (a) high school student, (I) couldn’t receive (the) New Year’s gift. White Day is a holiday a month after Valentine’s day where men who received chocolate are expected to return the favor by giving gifts. John: Tomorrow is Valentine, isn’t it? Alice: So? (I’m) won’t give (you) chocolate. John: Not even obligatory chocolate? Alice: (You) won’t be happy to get (an) obligatory chocolate, right? John: No, (I’ll) be totally happy, you know? Alice: Is that so? Ok, (I) will be looking forward to (a) splendid return gift on White Day, then. John: Huh? Wait a moment. What’s White Day? Choosing the right words for giving and receiving can be a bit confusing at first so lets look at a few ways to help you decide which word to use for giving and receiving. In English, giving and receiving is simply a difference of viewpoint. For example, “I received a present from John” means practically the same thing as “John gave me a present” The same applies for Japanese as shown in the examples below. (I) received present from John. Translated to English, both sentences essentially mean “John bought present for me”. While the viewpoint is reversed, essentially they are saying the same thing. We don’t have to worry about which word to use for receiving because there is only one. So let’s look at how to decide which word to use for giving. The easiest and most common scenario is when you, yourself is the one giving or receiving. As previously mentioned, because the speaker is always at the bottom, he/she will always use 「あげる」 to give to others and 「くれる」 when others give to the speaker. Are (you) giving (it) to me? I’m giving (it) to you? Using the same logic, it’s safe to say the following will always be incorrect regardless of the social status of the other person. The only scenario left is when both the giver and receiver is different from the speaker. This is the only ambiguous scenario where either 「くれる」 or 「あげる」 can be used. Basically, the speaker must choose which viewpoint he/she wants to look at the situation from. For example, let’s say you wanted to know if Ａさん gave Ｂさん a present. If you were asking Ａさん, you would use 「あげる」 because you are looking at it from Ａさん’s perspective as the giver. If you were asking Ｂさん, you would use 「くれる」 because you are looking at it from Ｂさん’s perspective as the receiver. In summary, deciding which word to use in this scenario can be described in two steps. We learned how to say we don’t have to do something in the last section but we did not cover how to talk about things that have to be done. Because of the way it’s phrased in Japanese, the grammar for saying something has to be done is completely different than the grammar for saying something doesn’t have to be done. First, let’s look at how to express something that one must not do. Things that one must not do are expressed by using one of the three words: 「いけない」、「ならない」、 and 「だめ」. These are all negative expressions (the first two is actually using the negative form) meaning that something won’t do or is no good. Conjugating these expressions are simple if we know where they originate from. While we can use 「いけない」 and 「だめ」 by themselves as shown in the examples below 「ならない」 cannot be used by itself. Is using cell phone here bad? Telling (your) parents is what was no good. We can use either of the three words with verbs to say that action is no good or in essence, “one must not do the action” by using the following rule. 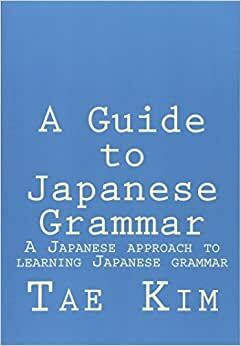 Take the te-form of the verb, add the 「は」 (wa) particle and then attach either 「いけない」、「ならない」、 or 「だめ」. Men must not enter here, you know. People who drank alcohol must not drive cars. (You) must not teach students bad words, you know. In order to say that something must be done, we say not doing something is bad by using the previous grammar we just learned but with negative verbs. You can also use two of the conditionals we learned in the last chapter. This grammar may be a bit confusing at first because we need to use double negatives to say one must do something. John: Teacher, can (I) go to the bathroom? Teacher: (You) have to go again? Alice: (It’s) useless, you know. (You) can’t do something like homework in (the) short interval of going to the bathroom. (You) have to take this medicine 3 times a day. (I) have to do homework by tomorrow. Even though (it’s) still early, do (you) have to go home? There are a couple of casual variations of the grammar we just learned listed below. Things can get quite lengthy with the double negative required to describe an action that must be done. When using the casual variations with the negative, you can also omit the 「いけない／ならない／だめ」 part of the grammar. This also applies to the 「と」 conditional. (I) have to study more. (I) have to go home already. In this chapter, we learned how to deal with uncertainty in various ways. I’m sure we can all think of many situations where things are not 100% certain. Common scenarios include talking about the weather, news, and the future. Below is a list of sample topics you can write about or discuss with your conversation partner (either in casual or polite form as appropriate). How many languages can (you) speak? Is there something (you) would like to try doing before (you) die. Something very embarrassing (you) did inadvertently. What would (you) do if (you) were a millionaire? If (you) could grant any one wish, what (would you) wish for? In this chapter, we learned many different ways to say similar things. In teaching, it’s convenient to group similar concepts and cover them together. However, when it comes time to use them in practice, it can create confusion as learners try to decide which grammar to use and get caught up in trying to find the difference between similar concepts. Let’s take a look at some examples and why one grammar is more appropriate over others in various situations. It’s important to keep in mind that there is often no one right answer as it really depends on what you want to say exactly. “Like” is a word in English that has many usages and can even be overused. With words like this, it’s natural that other languages have many different types of grammar that all translate to the same word in English. Therefore, we need to learn to make distinctions that we usually don’t think about. Is it an impression of the future or guess (with some uncertainty)? Use 「～そう」. Seems like fun (impression). I wonder if I should go too? Is it based on hearsay? Use 「らしい」 or 「だ／た＋そう」. Use the former if it’s an impression based on general hearsay and the latter if heard from a specific person. (I) heard (in general) that that store is pretty cheap. (I) heard (from someone) that yesterday was very rough. Is it resembling behavior ie “acting like a…” or trigger an emotion? Use 「らしい」. What’s the matter? (It’s) not like you. (behavior). Is it a resemblance in appearance or manner? Use 「みたい」, 「よう」 (polite/formal), or 「っぽい」 (slang). This is also more generic and can be in other situations without the connotations of other grammar. Looks like tomorrow is rain. It appears our team is having a hard fight so what should (we) do? Don’t those clothes look a bit manly? Are you trying hard enough? We learned several grammar that all mean “try” but with difference nuances such as “try” vs “attempt”. While they are often interchangeable, the difference is mostly due to how much effort is exerted. Is it a light effort, experimentation, or just trying something new? Use 「te-form＋みる」. Try eating this. It’s tasty! Attempted to open the door (such as forcing it open). When (I) set out to talk to him/her, (the) phone suddenly rang. Try not to make a big sound, ok? Lately, (I’ve) been trying to be more social but (I’m) bad at conversation and (it’s) pretty hard. The conditionals are extremely tricky because of the 4 different types and all the various conjugations. We already looked at some examples using various scenarios. To further simplify things, let’s start by looking at the conditionals that are most distinctive and easy to separate. Is it a supposition ie, “if that’s the case…”? Use 「なら（ば）」. 「ならば」 is very formal so usually just 「なら」. Well in that case, (I) guess (it) can’t be helped. Is it a natural consequence ie, “when not if”? Use 「と」. Also, casual speech often uses 「と」 just because it’s the shortest. If you mean (the) supermarket, if (you) turn right at that corner, (it’s) right there. With no glasses, (you) can’t see anything, right? Did it already happen? Use 「たら（ば）」.「たらば」 is very formal so usually just 「たら」. When (I) woke up this morning, (a) pimple was attached to (my) face. Is it a generic “if” statement? Use 「ば／たら（ば）」. These are usually pretty interchangeable though there are some very slight differences. If (I) have more money, (I) could buy various things I want. If (I) had more money, (I) could buy various things I want. When we want to talk about a question in a larger sentence, we can treat the sentence as a phrase by using the 「か」 question marker. Do (you) know when Tanaka-san is coming? (I’m) agonizing whether I should go to Japan next year for study abroad. When it’s a yes/no question, you can append an optional 「どうか」　to represent the other choice. Do (you) know whether Tanaka-san is coming tomorrow or not? (I’m) agonizing whether I should go to Japan next year for study abroad or not. Whether (I) want to go to Japan or not, (I) don’t know. John: 彼女 holds both meaning of “she” and “girlfriend” so (it’s) unnecessarily confusing. Alice: Wouldn’t (you) mostly understand by context? Moreover, if (you) don’t understand, (you) can confirm by asking the other (person) which (it is), right? John: That’s so, isn’t it? If (I) ask is she/girlfriend she/girlfriend, (I) will understand, won’t (I)? Alice: By that kind of question, (you) won’t know which is which in the end, right? There are four ways to express conditional in Japanese, each with a slightly different meaning and used in different situations. The most generic conditional without any assumptions or embedded meanings is the 「～ば」 conditional. The conjugation rules for the 「ば」 conditional is below. If (you) call early, (you) can make (a) reservation easily. If tomorrow is not busy, won’t (you) to go to watch movie? If (he/she) is (a) nice person, (I) think (we) can become friends. The past conditional is created by adding 「ら」 to the past tense form of a verb, noun, or adjective. The full form is 「らば」 but the 「ば」 is usually omitted. This form can also used in the past tense to describe something that was unexpected instead of a condition. If (you) are busy today, let’s meet tomorrow. If (you) didn’t want to go, why did (you) say (you) wanted to go? When (I) returned home, (the) dog was scattering around (the) garbage. The contextual conditional is used by appending 「なら（ば）」 to a noun, verb, or adjective. The full form is 「ならば」 but the 「ば」 is usually omitted. If everybody is saying (they) don’t want to go, I won’t go as well. If (you’re) referring to Alice-chan, (she) went home already, you know. If (you’re) referring to (the) story of (what) happened yesterday, (I) already heard from Tanaka-san. If (you’re) not busy, why can’t you meet (me)? The natural conditional is used by appending 「と」 for verbs and i-adjectives or 「だと」 for nouns and na-adjectives. This conditional is used to describe things that happen as a natural consequence with very high certainty ie, “If you do X, Y will certainly happen.” It can also be translated as “when” in addition to “if”. If (we) don’t go now starting now, (we) won’t make the train. If he’s free, (he) always plays game(s). If (you) eat that much, (you’ll) get fat for sure. It’s not often obvious nor easy to explain when you would use one type of conditional over another. The best way to master conditionals is by learning from many examples over time. To help you get started, below are a few examples to illustrate some scenarios where some conditionals are more appropriate then others. However, keep in mind, that no version is necessarily incorrect as it can depend on the context and the message the speaker is trying to convey. If (you) are (a) student, (you) can use student discount. If only (he/she) was (a) student of here, (I) would be able to meet again soon. If (he/she) is a student, (I) thought (he/she) would study more but (he/she) doesn’t at all. If (you) are (a) student, ramen here is 400 yen. If (you’re) not busy, let’s go see (a) movie. If (you’re) that busy, why (did you) take a nap? If (you’re) that busy, let’s talk tomorrow. If (I) become busy with work, (I) always want to eat junk food. If (you) understand (the) formula, (the) test is simple. If (I) know the time and place, (I’ll) send email to everybody. If (you) don’t understand my feeling(s), there is no need to talk anymore. If (you) don’t know (the) phone number, (you) can’t contact (him/her/them), right?